Being a co-op is special because we do business differently. We don’t have a single owner. We are owned and governed by you, our 10,000 members. We share the burden in hard times and share the benefits in the good times. Co-ops put people, the planet and our principles before profit. From banks, dairy farms, child care and everything in between, cooperatives are an alternative business model to meet the social and economic needs of the communities they serve. We are member owned, member governed, and operate for the benefit of our members. As a democratic organization that is equally owned and controlled by a group of people, Ashland Food Co-op is a consumer owned cooperative. Our members are the stakeholders, the shareholders and the governing board. Your investment in the Co-op is an investment in the community. Because co-ops are democratically owned by community members, co-ops keep money and jobs local. Nearly a quarter of our total store sales come from selling local products. Every $1 spent at the Co-op has roughly 3 times more local economic impact than a $1 spent at a non-locally owned business. Co-ops are a global movement that continue to grow in size and influence. There are one billion co-op members globally. In the Rogue Valley, we have several co-ops, including Rogue Credit Union, Grange Co-op, Medford Food Co-op, Siskiyou Sustainable Co-op, Medford Apartments and yours truly. From banking alternatives to farm supplies or housing, each of us fulfills a different need in the community. Co-ops strive to make our communities and economies more just and equitable, without exploiting people or the planet. 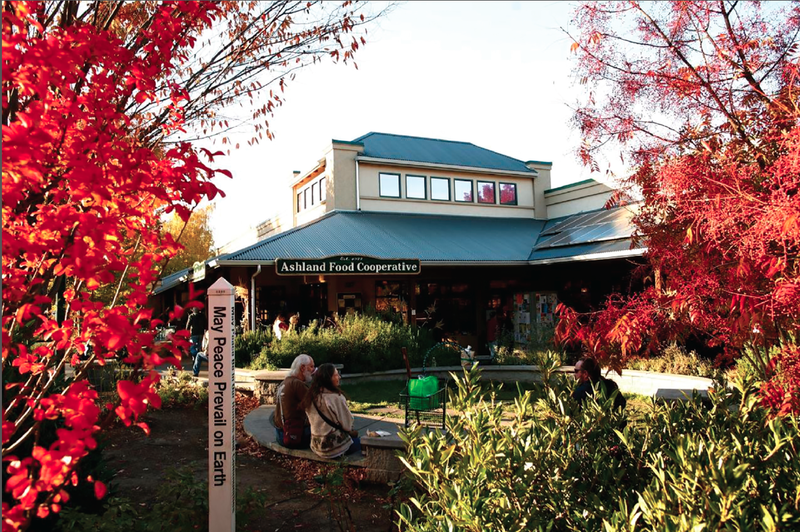 The Ashland Food Co-op’s mission is to emphasize and source organically grown and ecologically sound products. 99% of our produce is organic. Last year, we recycled and diverted 81% of our discards from the landfill. Across the Pacific Northwest, hundreds of co-ops provide goods and services as well as livelihoods for local workers. Each time you shop at AFC, you are part of a movement that believes business is better when it’s in the hands of the people. Go Co-op!